The massive earthquake off the west coast of Indonesia on December 26, 2004, registered a magnitude of nine on the Richter scale. The effect of this earthquake made massive tidal waves that destroyed the costal belt of the northern and southern Sri Lanka. Perhaps this must have been the most catastrophic natural disaster ever experienced by Sri Lankans in their recent history. The damage was colossal. 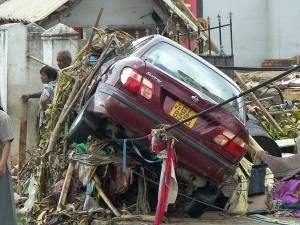 Tsunami had killed over 50,000 people in Sri Lanka. A number of villages have been wiped off and more than 100,000 houses were destroyed. The tsunami had damaged the physical and mental health of the survivors. The victims experienced multiple intense stressors. Injury and life threat caused psychological impairment. The magnitude of exposure to the Tsunami disaster was vastly related to the risk of psychological illnesses. The individuals with previous trauma became more vulnerable. The Tsunami disaster 2004 generated a significant numbers of victims with PTSD. The research survey done by Dr Padmini Ranasinghe (Depression and PTSD among Tsunami survivors living in transitional camps in Sri Lank) indicated that a significantly high prevalence of depression (69.2%) and PTSD (55.7%) in these displaced populations six months in to the recovery, compared to estimated 10% prevalence of psychological disorders among general population. Soon after the tidal waves the survivors panicked, some went all over in search of their family members. The psychological problems that resulted from Tsunami disaster include feelings of shock, fear, grief, anger, resentment, guilt, helplessness, hopelessness, and emotional numbness. Among the cognitive reactions confusion, disorientation, indecisiveness, worry, difficulty in concentrating, memory loss and unpleasant intrusions were prominent. Loss of homes, valued possessions, livelihood and community made many destitute among people who were self sufficient before the disaster. The life-threatening personal experiences, loss of relatives and property have caused psychological disturbances such as acute stress reactions, PTSD, depression and various other anxiety related illnesses. 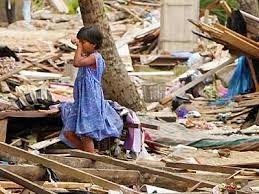 In December 2004, the South Asian Tsunami destroyed not only people and property but the mental happiness of the survivors. People experienced grief reactions and they were shattered by the property damage. The survivors had little salvage soon after the Tsunami. Depression was strongly related to the accumulation of post-Tsunami living conditions. Mr. L had been a successful fisherman before the tsunami. With the disaster, he lost his house, livelihood, and personal identity as a productive member of society. Mr. L and his family members had to live in a refugee camp with minimum facilities. A few months after this unbearable catastrophe, Mr. L became depressed. His symptoms included persistent depressed or irritable mood, loss of appetite, sleep disturbance with often early-morning awakening, greatly diminished interest in life activities, fatigue and loss of energy, feelings of worthlessness, feelings of hopelessness, and sometimes thoughts about suicide. Mr. U was a soldier who had come home from work that morning and was enjoying a cup of tea. When he heard people screaming, he went out and saw a large wave coming toward his house. He immediately went to rescue his sister and her children. As the waves came, he grabbed the sister and her two children. He was able to hold onto his sister but two girls were taken by the waves. They were never able to find their bodies. Mr. U became extremely sad and started blaming himself for not rescuing the two little girls. His grief reactions were often evoked by reminders. His depressive reactions became quite serious, leading to a traumatic grief. His initial reaction was disbelief and disassociation. He thought that the children would be found alive. After the sea became calm, he started searching for them. He saw a large number of dead people. Among the dead bodies, there were children. Gradually be became frantic and started screaming and search for them. But he did not see them. Mr U even went to Matara Hospital in search of his sisters little children. He blamed himself for not serving the lives of two girl children. The Tsunami had a direct effect on the mental health of the survivors. A large number of people developed PTSD as a result of Tsunami related catastrophic events. The victims often relived the experience through intrusions, nightmares and flashbacks. They become less responsive emotionally depressed, withdrawn, and more detached from their feelings. Many victims received counseling and psychosocial support from various organizations. A number of clinics were opened in the affected areas. Although the rate of PTSD in children and PTSD symptoms in adults decreased over time some individuals, still experience posttraumatic symptoms even many years after this natural catastrophe. The International Post-Tsunami Study Group examined psychological symptoms experienced by people from the Peraliya area (a district in the southern province of Sri Lanka) 20 to 21 months after the tsunami and found that 21% had PTSD, 16% had severe depression, 30% had severe anxiety and 22% had somatic symptoms. The degree of exposure to a disaster determines risk and level of psychological morbidity. Professor Edna B. Foa of the University of Pennsylvania accentuates that most affected individuals recover with time. In some cases, however, recovery is incomplete, leading to a number of psychiatric conditions, of which PTSD is the most frequently encountered. PTSD often coexists with a variety of psychiatric and physical disorders, which further increase the burden of suffering experienced by the patient. Recent reports suggest that after natural disasters mental health problems can emerge in vulnerable groups. Tsunami caused people to grieve. Overloaded dysfunctional grief process affected the victims to a significant level and their posttraumatic symptoms did not diminish for a long time. Some victims still carry the horrific memories of the 2004 Tsunami Disaster. Mr Nx4 is one of them. When the Tsunami wave washed, the Southern coast of Sri Lanka Mr Nx4 was in Colombo. When he heard the calamity, he rushed to his house in Matara. Since the transportation was crippled, he took much effort to come home. When he came home he did not see his house, he saw the broken walls and the foundation of the house. When the disaster occurred, his pregnant wife and seven-year-old son were in the house. He went in search of his family. Eventually he found the body of his pregnant wife and the child among the dead bodies. He was utterly devastated and could not overcome the emotional soreness. After the funeral, he went to live with his uncle and had no aim in life. Two months after the disaster he tried to commit suicide by hanging. Then he was hospitalized and later diagnosed with PTSD. He was treated with Electro Convulsive Therapy. Although he was on long-term therapy Mr Nx4 experienced posttraumatic symptoms for a considerable degree. When he was clinically, re assessed 3 years after the Tsunami disaster it was found that Mr Nx4 still had nightmares, intrusions, suicidal ideation, emotional numbing and many other PTSD symptoms. Disasters generally have other long-term mental health consequences, functional disabilities, and disorders associated with substance abuse. Posttraumatic stress disorder may be a risk factor for nicotine and drug use disorders (Breslau N, Davis GC, Schultz LR: Posttraumatic stress disorder and the incidence of nicotine, alcohol, and other drug disorders in persons who have experienced trauma). Many psychological victims of the Tsunami disaster continue to exhibit addiction related behavior. Increases in alcohol, cannabis and tobacco use were significantly increased following the trauma especially among the males. Mr DX5 lost several family members and most of his property in the Tsunami disaster in 2004 was diagnosed with PTSD in 2005. He gradually lost will to perform day today activities and stated abusing alcohol daily basis. His progressive alcohol addiction caused Cirrhosis of the liver. 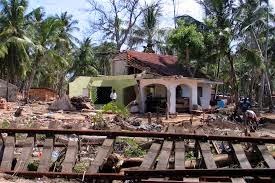 Mr. TX2 lost his parents and the ancestral house in the Southern Sri Lanka as a result of the 2004 Tsunami, manifested intrusive memories of the gigantic wave and the dead bodies; feelings of intense distress when reminded of the trauma became more and more alienated. He constantly abused alcohol and in 2006, he was diagnosed with Alcohol Dependence. Social wellbeing is a sense of involvement with the community and about being actively engaged with life. The tsunami disaster continued to have devastating impact on social well-being of the victims. It’s a known factor that disasters threaten personal safety, overwhelm defense mechanisms, and disrupt community and family structures. The people who were exposed to the Tsunami disaster 2004 experienced numerous psychosocial problems. Property loss, death of close relations, problems of temporary and permanent housing, poor income generation, insecurity and uncertainty about future made grave impacts on social wellbeing. Dr. Pynoos studied the effect on 231 children from three cities at increasing distances from the devastating earthquake that occurred in Armenia in 1988. Following 18 months of the event, children suffered frequently from “severe post-traumatic stress reaction” correlating with the proximity to the quake epicenter (The British Journal of Psychiatry 163: 1993). James F Phifer and Fran H. Norris interviewed more than 200 older adults both before and after two distinct floods occurred in southeastern Kentucky in 1981 and 1984. Exposure to these incidents, which differed in overall intensity, was assessed at both the individual and community levels. Based on their findings personal loss was associated with short-term increases in negative affect, limited to one-year post flood. Longer-term effects were more dependent on the level of community destruction. Exposure to high levels of community destruction was related to decreased positive affect up to two years postdisaster, whereas exposure to high levels of both community destruction and personal loss was predictive of increased negative affect for two years. 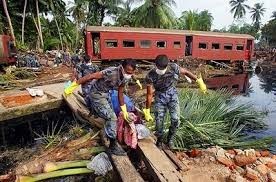 The effect of the 2004 tsunami on suicide rates in Sri Lanka were done by Dr. Asiri Rodrigo and Jonathan Pimm, Consultant Psychiatrist of the Department of Mental Health Sciences, University College London Medical School, London. To investigate the effect of the 2004 tsunami on suicide rates in Sri Lanka the number of suicides in the 2 years prior to and 1 year after the tsunami were considered for the study. Data from districts affected by the tsunami were compared with those from unaffected districts. They found that no significant differences were found between the number of suicides before and following the disaster or between areas affected and unaffected by the tsunami. Krug EG. Krensnow and his colleagues of the National Center for Injury Prevention and Control, Centers for Disease Control and Prevention, Atlanta, GA conducted a study on suicide rates after natural disasters. From a list of all the events declared by the U.S. government to be federal disasters between 1982 and 1989, they selected the 377 counties that had each been affected by a single natural disaster during that period. They collected data on suicides during the 36 months before and the 48 months after the disaster and aligned the data around the month of the disaster. Pooled rates were calculated according to the type of disaster. Comparisons were made between the suicide rates before and those after disasters in the affected counties and in the entire United States. Krug EG. Krensnow is on the view that among the victims of floods, earthquakes, and hurricanes, there is an increased prevalence of post-traumatic stress disorder and depression, which are risk factors for suicidal thinking. Their findings indicate that natural disasters would increase the psychological morbidity and suicide rates. Krensnow and his colleagues found that that suicide rates increase after natural disasters like severe earthquakes, floods, and hurricanes. The increases in suicide rates were found for both sexes and for all age groups. Based on the results they confirm the need for mental health support after severe disasters. A 30-year-old mother who was exposed to Tsunami disaster in 2004 residing at the tsunami housing scheme in Panadura alleged to have thrown her three-year-old youngest son to the Kalu Ganga. The incident occurred in 2010 March over 5 years after the initial traumatic experience. Her husband had abandoned her and she had faced utmost difficulties in taking care of her five children. The child was thrown to the river due to dire poverty and lack of social support. On the day, the child was thrown to the river the mother had tried to hand over the child to a children’s home but the authorities had turned down her request. Post Tsunami mental health rehabilitation work took place soon after the disaster. Renowned mental health professionals like Professor William Yule, Professor Rachel Tribe and many others offered their services to Sri Lanka to upgrade mental health services. Dr Neil J Fernando – Consultant Psychiatrist conducted mobile mental health clinics treating a large number of victims who were shattered by the natural disaster. Dr Neil Fernando also took a praiseworthy initiative to train counselors and social service workers in Tsunami affected areas. The EMDR-Humanitarian Assistance Programs (HAP) whose mission is to build capacity for effective treatment of traumatic stress disorders in underserved communities anywhere in the world gave their utmost support to Sri Lanka for the post Tsunami rehabilitation work. On the directions and guidance of Dr Francine Shapiro - the creator of EMDR a team of specialists came to Sri Lanka to assist the local therapists. Dr Nancy Errebo and her EMDR HAP team closely worked with the local doctors and helped to treat the victims of 2004 Tsunami. Although mental health treatment programs went effectively, psychosocial promotional activity did not go hand in hand. Sri Lanka received over US$2.2 billion (euro1.74 billion), as post-tsunami foreign aid. Unfortunately, large amounts of funds were not spent effectively and nearly 500 million USD provided by the foreign donors for tsunami reconstruction has gone missing. Only a small percentage of aid reached the intended recipient. After ten years of the tsunami disaster, some survivors still live live in new settlements lacking basic facilities. The reverberation of the 2004 Tsunami is still harrying the Sri Lankan society. In 2010 March, a former tsunami victim had thrown her 3-year-old son to the Kalu Ganga River. If this family that was displaced by the 2004 tsunami had appropriate psychosocial support, this tragedy could have been evaded.